We are very committed to our social programmes at Kawandama and the surrounding communities. 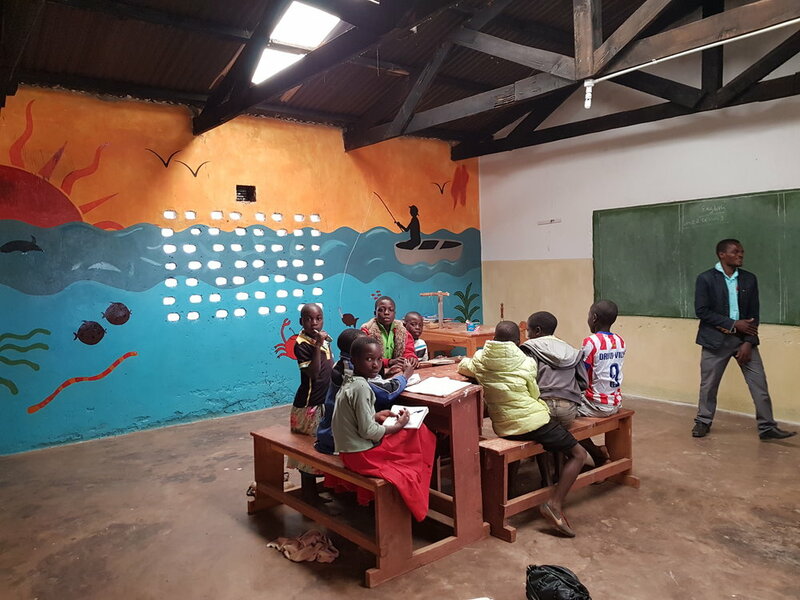 We work closely with UK charity, Expand, (1137120) operating in the northern region of Malawi which focuses on improving and providing education through building infrastructure and organizing and facilitating trainings of all kinds. The company Directors first came to Malawi in 2006 to build a full Primary School in Nkhata Bay District that was handed over to the community and government. The plantation came next and recent projects include building and setting up IT centres and libraries, donating hundreds of books and DVD’s, paying secondary school fees, and building nurseries and primary schools. Our staff village caters for around 500 men women and children, and more come as the plantation expands. Kalungulu Village was a disused government forestry station and KHP has renovated and built more housing, as well as installed boreholes for clean water. Mkoko Primary School now has 70 children with more coming every term, and is fully supported by the District Education Office. The school is blessed with books, TV, sports equipment and 8 teachers donated by Expand's generous donors and KHP. We welcome volunteers and offer opportunities spanning education and teaching, to forestry and environmental research. KHP has received many volunteers since its start up who have left with warm memories of their time there. We would like to offer more academic research opportunities to anyone looking for some adventure in the warm heart of Africa.